Re: men, there's not much besides Yuzu and Shoma. Sota is promising, but who knows how he is these days? I wouldn't put much faith in the junior men, actually, Koshiro has even grown a lot so he might struggle with that as well. Japan needs only one more discipline to be qualified for the Team event; they then can invite the missing discipline to participate only in the Team Event. So if Kana Muramoto/Chris Reed make the qualification round at Nebelhorn, Japan will have enough points and disciplines to go to the Team Event, but then they'll have to qualify for the final, where only 5 or 6 teams will be. Not sure how that part works, though. Miyu is Marin's younger sister. 4 of the 5 Honda kids are skaters, and according to Marin, the most talented among them is the youngest girl, Sara. (She's 9 and doing 3-3 now.) The family own an ice rink, so training is easier to arranged for them. I think part of Marin being the fed's darling may be because her coaching team is one of Japan's skating powerhouses. But the most important thing is her star quality. After Mao came Yuzu, and after Yuzu they need someone else to shoulder the market. Shoma IMO is not up for that task. Some skating fans will love him, but he's not got the personality to draw general audience into skating. 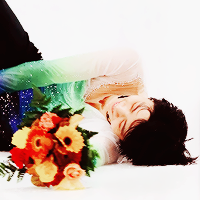 Plus he's not much younger than Yuzu to stay much longer than him (and his knees, ouch, won't help him). Marin has got the sweetest pretty-girl look, loads of performing talents, a rather likable personality, and a skater/child-star family that just fascinates people. Team Hamada isn't that powerful yet. If you look at the pcs at Japanese nationals this season the girls from Nagoya still got pretty high pcs, especially considering that their overall performances were not great. Hamada is rising through the ranks cause she has many talented girls now. Have to agree with you on this - dance and pairs will hold the singles back- it really doesn't seem worth the risk/distraction for the singles. I would love Satoko to come back strong- I see what everyone says about her jumps but I just love her style and her determination- as long as she's properly recovered. It's not surprising most of the talk about the Japanese Team revolves around the ladies, because they have so much talent there and coming in from juniors as well. However, the men seem to have reached a void; after Yuzu and Shoma, there doesn't seem to be any major contenders to take over the mantle after them. Sota Yamamoto was apparently the hope for the future of men but he's been off the radar due to injuries (he was at the JOC camp, though, so good news!?) but if due to his injury troubles he doesn't recover to the condition he was in before, is there any other hopeful young juniors/novices in the men's discipline? Any the JSF might throw their main support at in the future? Here I'm generalising. But by Chinese (and possibly Asian) standard, I would say she is the prettiest out of all active Japanese ladies (that I am aware of) right now. I think Mai got a little love from JSF after Worlds. I like her, but she should behind Wakaba at WTT, especially in LP when her jumps were smaller than usual. She's very consistent so I hope she has better package next season. Kaori is quite similar to Mai, good jumps, good speed, quite consistent but she need better programs. Wakaba could be a real threat if she get that 3A. Her 3F is still problem so I hope she replace it with 3Lo in SP. And of course, better LP next season. Her Scheherazade is not bad, its actually ok for a senior debut, but I love her Mask of zorro LP more. Marin is very good, great SS and her glide is to die for. I find her a bit overrate at this point, both of her program this season is a bit genetic, but she's still young and has plenty of time to improve. I worry about the hype around her and her agency is affiliated with the media won't help it either. 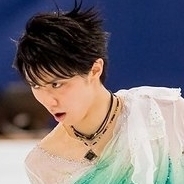 I mean at JOC there're more article with Marin in the titles than Yuzuru :wtf: . It won't be easy for her next season. Satoko is big question. We don't know how her hip injury will affect to her jump, which are not good to begin with. She really lost alot momentum by missing 2nd half of season. I heard she will get new programs in June/July. i hope she stick with Tom Dickson. I think she mentioned in an interview that she will likely keep the same choreographers, hopefully she'll have great programs. But mostly, it's her layout that needs to change. I think Kaori and Mai need to be polished a bit more, but they have wonderful jumps. Satoko is at risk imo. I’m curious about how Daisuke Murakami and Sota Yamamoto will come back. They were both doing very well in 2014-2015 and 2015-2016 seasons so I missed them a lot in 2016-2017. Daisuke seems to have resumed jumping quads, so if he can get good results in earlier competitions I think it’s possible to for him to rival Mura and Keiji. I saw Sota’s performance for the first time in Japanese Nationals 2013 and became his fan on the spot. He had beautiful spins and the way he gliding on the ice was so pleasant to watch. 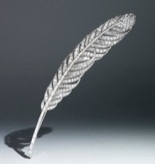 He was like a good colored pencil which drew a beautiful trace on the ice with no stress. I don’t know how he’s recovered from injury but I hope he comes back strong. As for the ladies there are so many good skaters so no matter how things will come out it will be bittersweet for me. Satoko, Marin, Mai are my favorites but Wakaba and Kaori are also exciting when they are clean.